Thank the big G it's Friday! This week was loaded and awefully stressful that I couldn't help but be thankful it's finally over. So after our IPL session last Friday, my friends and I decided to fight stress with no less than the best destressor known to man... EATING. Since we were all craving for Katsu, we went to our all time favorite place, Crazy Katsu along Maginhawa Street in Diliman. Parking was already full so we had to find a space nearby and saw one in front of a boutique across Crazy Katsu. What seemed like just another night of gastronomic experience turned out to be a great Fashion find. In My Closet is a fashion boutique amidst all the restaurants along the famous Maginhawa Street. From outside, the store looks really stylish yet cozy. Once you step inside, you will immediately feel a feminine vibe starting with the pink chandelier down to the smallest girly stuff on display. This painting fits in perfectly with the boutique's tasteful interior. They have full length dresses, tops, pants, scarves, accessories, shoes, bags and a few skin care products. You can easily recreate your look without spending much because their prices are surprisingly affordable. You could get a decent sheer blouse for as low as 280 Php while accesories like fashion rings, bangles & antique necklaces go as low as 80 Php. They sell hand crafted jewelry boxes of various shapes and sizes, fabric totes, leather satchels and sling bags. I also noticed a few pre-loved bags on display as well as colorful bag organizers. Here are some of the dresses on display as well as an array of accessories at the back. Can you spot the quilted Ipad case beneath the blouses? It almost went home with me for the low, low price of 300+ Php. There goes my friend with her bag full of goodies. She bought a sheer blouse and an over sized top in stripes. Here's another friend of mine who happily made her purchase. Behind her are more dresses you can feast your eyes on. Some tops have the same design in different colors but most of their dresses have no duplicates. According to the sales rep, their items are mostly from Bangkok and they update their stocks every two weeks. Overall, our discovery of In My Closet boutique is definitely worth sharing with all of you. They offer fashionable clothes and accessories with prices that are so affordable it's almost impossible for anyone to leave the boutique empty handed. So if you need to update your closet, you just might need to visit someone else's! In My Closet is located at #78 Maginhawa Street, Teacher's Village Diliman, Q.C. You may check out their Facebook page at facebook.com/inmycloset.ph and reach them via cellphone #0917-9811188. Thanks for reading and have a wonderful long weekend! Hello everyone! If you've been watching Kris TV, you'd know that Miss Kris Aquino has been featuring many restaurants around the metro, one of which is Yobob Lechon de Cebu in Tomas Morato, Q.C. This is co owned by former Pinoy Big Brother housemate turned actor, Paul Jake Castillo. If that name doesn't ring a bell, maybe you'd recognize him when I tell you he played as Maya dela Rosa's avid suitor Simon in Please Be Careful With My Heart. Yobob first opened in Cebu and just recently branched out in Manila. They are famous for their deliciously flavored and mildly spicy Cebu Lechon which is why we didn't think twice going there to try it ourselves. I'm not really into eating lechon so I was relieved to see other dishes in the menu like Sizzling Gambas, Sinigang Salmon Belly, Tinolang Manok and Hungarian Sausage. Of course we ordered Krissy's Sinigang na Lechon, a dish contributed by no other than Miss Kris Aquino. It wasn't on the menu until she cooked it herself during their visit and made use of Yobob Cebu Lechon as the main ingredient. Honestly, this dish truly deserves a five-star rating. The meat is so tender and the soup has that perfect sour, spicy taste of Sinigang. I also love the soup's slightly thick consistency. It may look quite expensive on the menu at 280 Php but the generous serving (good for 3-4) makes this dish affordable so that's around 70 Php to 90 Php per person. We also ordered Sizzling Hungarian Sausage but unfortunately it wasn't available. After several minutes of enjoying the Sinigang, we realized a trip to Yobob wouldn't be complete without trying out their famous Cebu Lechon so we ordered it as well. I never enjoyed eating lechon before because the taste is fully dependent on the sauce which for me isn't any good but Yobob Cebu Lechon is totally far from that. It's pretty tasteful that you can eat it alone without adding sauce. I love that the meat is quite lean with just a thin layer of fat in between but contrary to beliefs that lean pork meat is less tasty, this really tasted so delicious. The meat is really tender and a bit salty with a tinge of spicy flavor. We ordered half a kilo of Cebu Lechon which I think is enough to stuff 4-5 people. It costs 360 Php so again that's roughly 70 Php to 90 Php per head and is still pretty much affordable. This dish also deserves a five-star rating. Overall, Yobob Cebu Lechon is definitely a must try for everybody. They serve delicious dishes priced reasonably that a budget of 200 Php per person is enough to enjoy their cooking. So for tasty Cebu Lechon and other Pinoy dishes, visit Yobob Cebu Lechon in Tomas Morato and you won't be disappointed. Hey everyone! A few days ago, I availed Majolica Majorca's August promo, the Brow and Lash Colorist bundled with the Jeweling Pencil for only 799 Php instead of 1,090 Php. They also slashed 50 Php off my entire purchase using a discount voucher they gave me while I was shopping in their beauty section. This promo is valid until August 19, 2013 and you can get the vouchers from sales reps in the beauty section of selected SM branches*. After being assisted by Miss Gladys Manuel, Majolica Majorca's Sales Representative in SM Centerpoint, I got the Brow and Lash Colorist in BR555 which is a darker shade of brown. It came in a transparent box with Japanese characters written on the back. I love that they indicated the date of manufacture. This comes in two shades of brown, BR333 which is a lighter brown and the one I got, BR555 is darker. The container's color actually reflects the shade of the product. This looks like an ordinary mascara with a cone shaped applicator. It's virtually scent free and has a creamy texture that clings to the strands of your brow and stays there the entire day without smudging. It's easy to apply, doesn't dry immediately and a few strokes is enough to color your brows. I initially thought this will look too light on me but it turned out really nice and went well with my hair color. 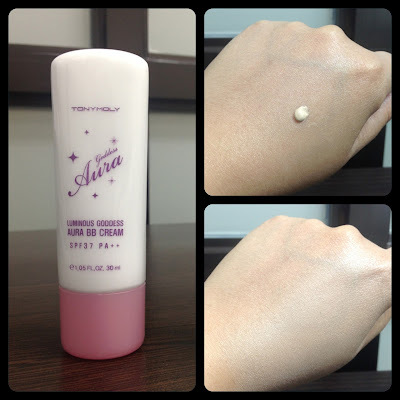 The formula didn't irritate my skin nor cause any adverse reactions. This Majolica Majorca Jeweling Pencil came with the Brow and Lash Colorist. It's a rich matte black that has a really nice texture. It glides smoothly on your skin with very minimal tugging. A single layer already gives you a nice pop of color. It also comes in several other shades and some of them are even glittery but I opted to get BK999, a simple black liner for that classic look. This didn't irritate my eyes and it lasted the entire day without smudging. Miss Gladys gave my eyes a much needed makeover. I love how she trimmed and sculpted my brows, applied color on my eyelids, lined my upper lids and finished my look with mascara. Above image shows you before and after shots. You have to bear with me for using a former picture for the before look because I didn't get a chance to take before shots that day. I have to say that Miss Gladys is my kind of sales rep because she knows her stuff, has a keen eye on what flatters your look, offers products that you need the most and gives you tips on the most essential stuff you need to get instead of offering every product she has on the shelf. I wanted to take her photo but she was too modest and didn't want to be included so I just took a picture of the Majolica Majorca counter instead. 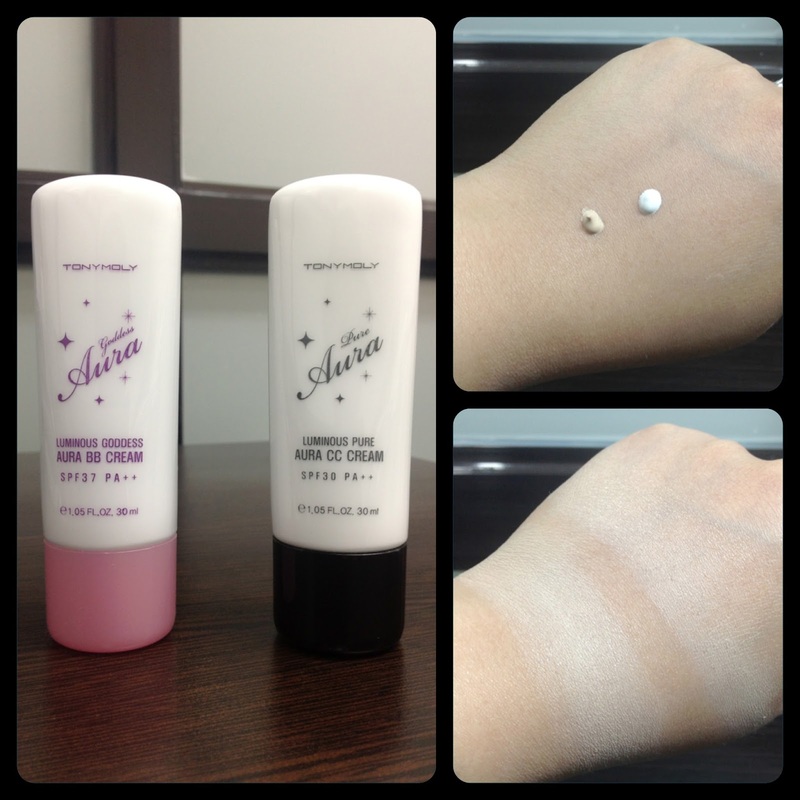 Overall, I love both products and I will definitely repurchase them in the future. I also recommend them to those who want high quality yet affordable cosmetics. You may want to visit Majolica Majorca in all leading department stores nationwide and avail of this bundle promo until August 31, 2013. For further discount, head on to the beauty section of selected SM Stores* and take additional 50 Php off the price until August 19, 2013. Thank you for reading and have a wonderful day! *Bacoor, Bacolod, Batangas, Cagayan De Oro, Clark, Cubao, Delgado, Dasmarinas, Davao, Harrison, Lipa, Makati, Mandurriao, Manila, Marikina, Marilao, Olongapo, Ortigas, Pampanga, Rosario, San Fernando, San Lazaro, Sta. Mesa, Sta. Rosa, Sucat, Taytay. Hello everyone! Before going to work this afternoon, we dropped by SM Sta. Mesa to have late lunch. I have to say that SM Centerpoint has improved a lot since I saw it a few years ago. The stalls don't look so crowded now and the counters are well lighted. I also noticed new (to me at least) establishments like Etude House and The Body Shop. I headed to their beauty section and found out they were giving away discount vouchers. Being the voucher addict that I am, I was lured into getting a few stuff to avail of the 50 Php off on transactions worth 500 Php. Here are some of the things I purchased. Apparently, charcoal toothbrushes are a thing now. The sales rep told me that Colgate first came up with one but they got sold out pretty fast. Good thing Watsons made their own version with tapered bristles. If you're wondering what the charcoal is for, the label says it can improve undesired breath. I was hoping for more benefits like fights bacteria or whitens teeth to convince me choose this over other regular brushes but there were none mentioned. At least curiosity over something I've never seen or tried before got me to buy this. This eyelid primer from elf has been recommended to me more than a few times by a friend who says it's the most affordable primer she knows that works really good. 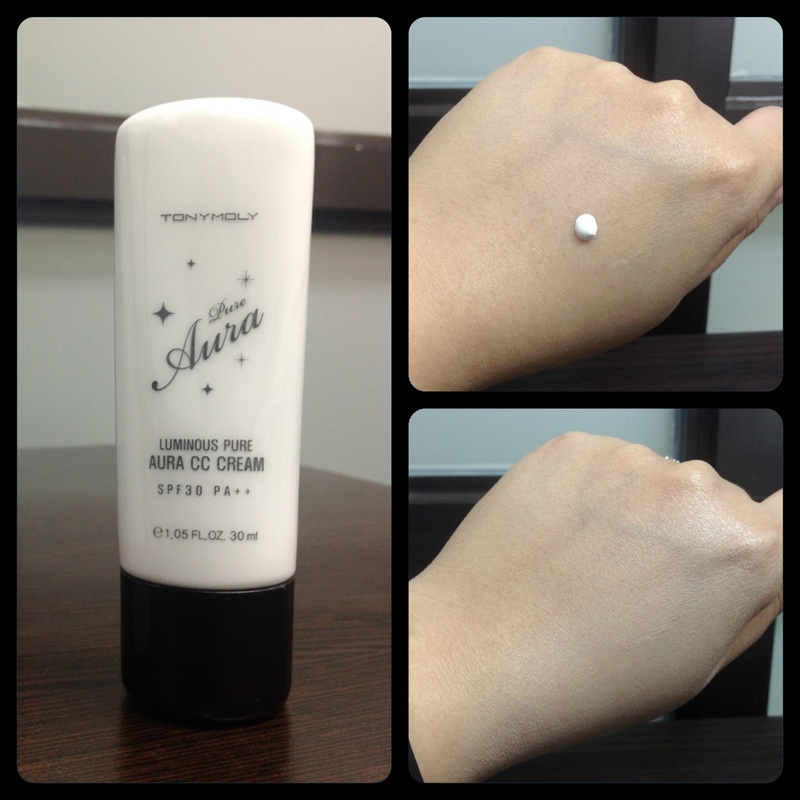 It preps your eyelid for smoother, long-lasting, crease-proof eyeshadow. More on this when I try it out in the next days. I've been paying attention to my eye brows lately which is why I was lured into getting this brow and lash colorist. I initially wanted to get Benefit's Gimme Brow but after Miss Gladys of Majolica Majorca SM Centerpoint tried this on me, I immediately bought it. I love that it's more affordable than Benefit's Gimme Brow which retails for 1,300 Php. It's even cheaper when you avail of their bundle promo because you get this plus their Jeweling pencil (495 Php) for only 799 Php instead of paying 1,090 Php in total. Well it doesn't stop there, use the SM voucher to slash off 50 Php more! Now I'm sounding like an infomercial but you can't argue with me when I say that it's really a good deal! This is a black eyeliner that comes with the bundle I mentioned above. 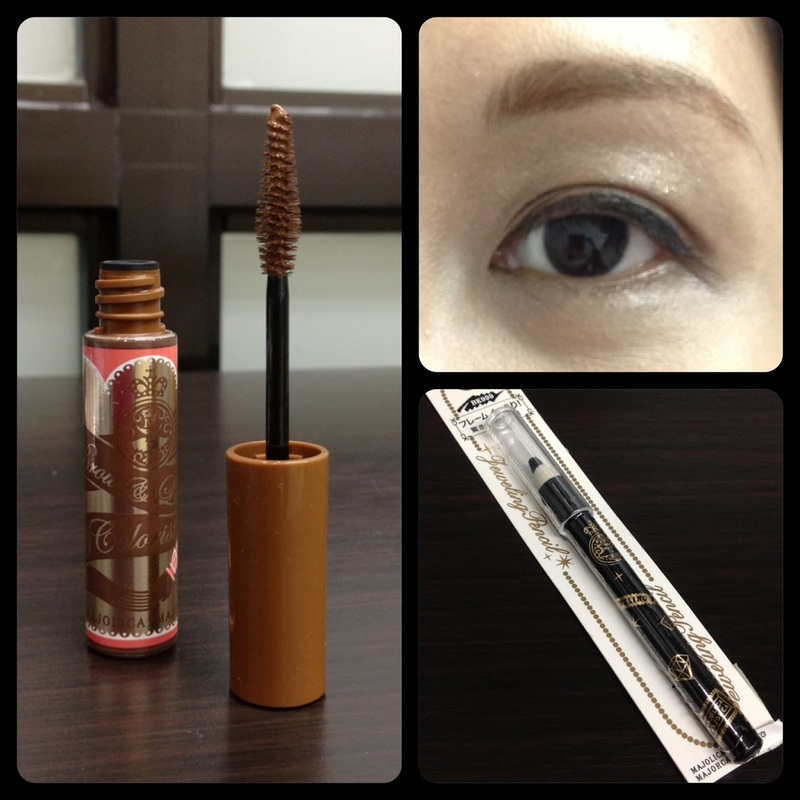 It originally retails for 495 Php but you can get a great deal when you buy it with the brow and lash colorist. I'll keep you updated with a full review on this soon. I'm not into concealers but after attending basic makeup class by The Makeup Artistry I realized how they can be of great help in achieving a flawless finish. So after watching Miss Say's video on Shawill Magic Concealer, I finally decided to get one for myself. This wasn't included in the promo because I bought it separately but the affordable price is already a good steal. All these items except for the Shawill Magic Concealer were bought in the beauty section of SM Centerpoint for only 932 Php! This promo really ROCKS because you may use several vouchers to slash off 50 Php per minimum purchase of 500 Php. Let's say you bought a total of 1,000 worth of products, you may pay for them in two transactions and use a total of two vouchers. This way you get 100 Php off your total purchase, so the more you shop, the more you save! What are you waiting for? Go now and shop for your beauty essentials from the beauty section of selected SM Stores* valid on July 19 to August 19, 2013 and get loads of savings!